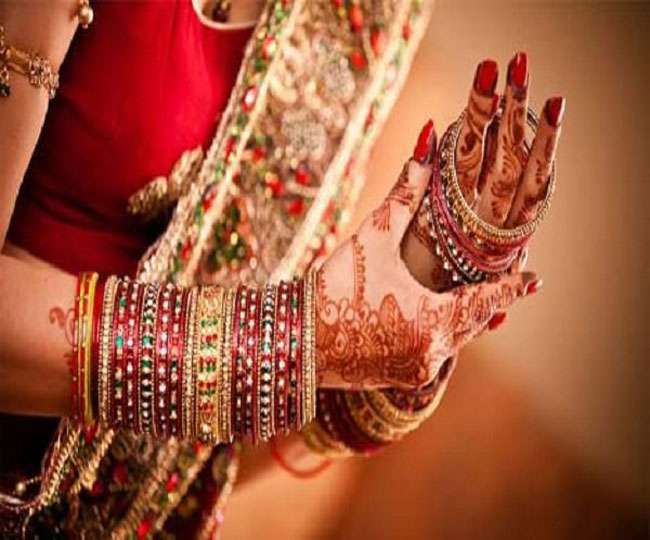 PATNA: A just-wed bride in Bihar fled her in-laws’ home with all the valuables, cash and ornaments she had got as wedding gifts hours after her marriage was solemnised in a latest incident of fraud stunning the police. The incident took place in Bhabua town, some 200 km south-west of Patna, early this week but was reported to the police on Friday after the victim family failed to trace the absconding bride on their own level. Police said the wedding of Pankaj Kumar was solemnised with Sangeeta Kumari, an orphan girl living with her relatives, in a temple on Monday afternoon and in the evening the bride reached her in-laws’ home after wedding. Everyone was happy in the groom’s family which had planned to throw a grand wedding reception the very next day. The poor parents of the groom had taken loan from their relatives to arrange for the party for guests. The family, however, received the biggest shock of their life when they found the bride missing from her home in the next morning after wedding. Initially, they thought, she may gone to attend nature’s call but when the bride didn’t return home quite late, they turned anxious and launched extensive searches for her but failed to locate her. It was then that they realized the fraud. As per the report, the bride didn’t allow her husband to share room with her on the first night after wedding saying she was menstruating and needed to stay alone. Her husband didn’t suspect anything in it. The police have registered a case on the basis of a complaint petition filed by bride’s mother-in-law Sheela Devi, and are investigating. “Based on the complaint, we have registered a case against the bride and her relatives. Further investigation is on,” a local police official Satyendra Ram told the media on Saturday.